Michell Instruments has released news of the latest development of its Condumax II hydrocarbon and water dew-point analyser. In response to requests from customers, Michell Instruments has developed a transportable version of its market-leading hydrocarbon dew-point analyser. The key function of this version will be to enable engineers to provide a fast response for investigations into the quality of natural gas, wherever it is needed. The Transportable Condumax II measures hydrocarbon and water dew-point (key indicators of the quality of natural gas) in the same way and to the same accuracy as the on-line version. The analyser is fitted into a robust transport case with rudimentary sampling system suitable for performing supervised measurement sequences. As Michell’s technical consultant, Andy Benton, explains, ‘The Transportable Condumax II provides a totally flexible analyser package for investigations into natural gas quality – which means that it could be employed anywhere in the natural gas supply chain, from processing plants through to pipeline transmission, and by large users such as electricity generation companies. 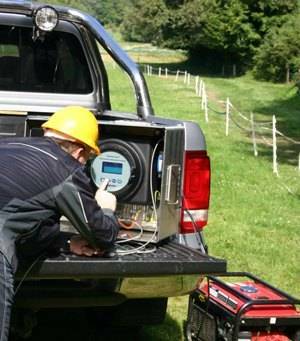 So it’s important that the system can be loaded into and out of a pick-up truck by two engineers, who will be able to operate and analyse the results on site.’ This ease of use reduces the reaction time of test measurements as well as the cost. A typical application for the Transportable Condumax II would be investigations into the performance of hydrocarbon reduction processing by natural gas producers. The analyser can be brought into operation quickly at any point in the process to help resolve issues. Gas pipeline transmission operators usually have on-line hydrocarbon dew-point analysers installed at the entry and delivery points of their pipeline network, however, the Transportable Condumax II allows for checks of quality to be made at any point within the pipeline. Electricity generating companies that operate gas turbines need to be sure of the superheat margin between the dew point and delivery temperature of the fuel gas to avoid damage caused by liquid condensate in the gas, as well as avoiding environmental levies on emissions. The Transportable Condumax II enables checks of the hydrocarbon and water dew point of the natural gas entering the fuel gas system. The Transportable Condumax II is certified for use in hazardous areas around the world, including ATEX, IECEx, CSA and GOST, with specific local certification available.